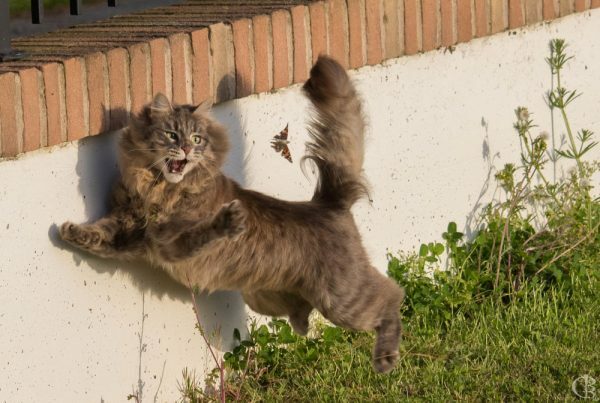 The Siberian cat has been around in Russia for centuries as a standard domestic cat. Its geographic isolation from other breeds and unique environment crafted the Siberian with the distinct characteristics it has today. They’ve been featured in old Russian fairly tales, and played an important role as mousers in Russian society. It’s thought that all long-haired cats originated from the Siberian breed at some point . Around the 1970s and 1980s Russia caught onto the “cat fancy” bandwagon, and began keeping formal breeding records of their unique domestic cat. 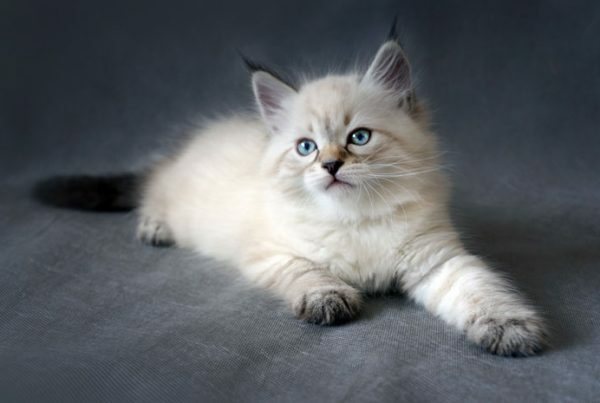 Kotofei Cat Club in Leningrad* created the first standard for the Siberian cat based on two cats: Mars, a blue and white lynx point and Roman, a white and brown tabby. At some point during that time a new breed was created by mixing Siamese cats with Siberians to create the Neva Masquerade, named after the Neva river in Leningrad* and the masquerade parties popular among the nearby wealthy people. Harrison Weir, organizer of the first modern cat show at the Crystal Palace in London in 1871, showcased the Siberian cat (then referred to as Russian Longhair cats) and wrote about them in his book Our Cats and All About Them. As Siberians began making appearances to cat shows, they caught international attention. 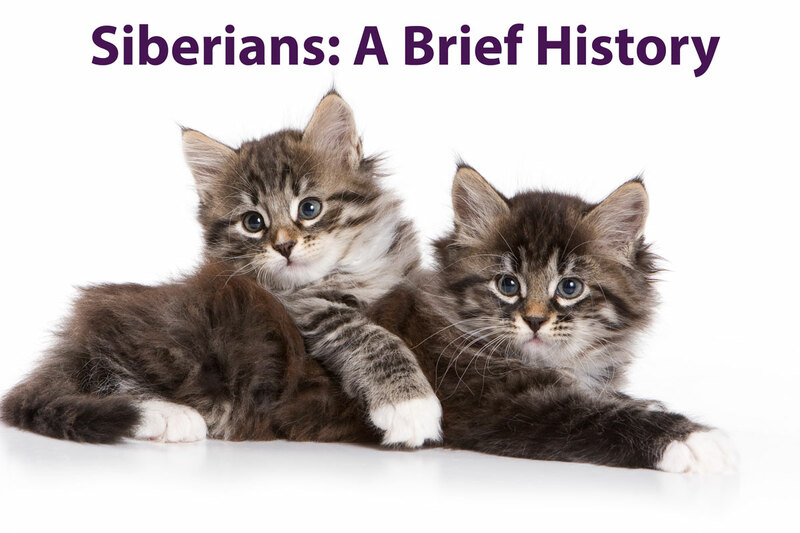 Siberians made their debut in the United States when Elizabeth Terrell (Starpoint Cattery) imported the first three Siberians in 1990. Originally a Himalayan cat breeder, she noticed that a Russian Cat Fanciers association wanted to import the breed to Russia in a 1988 Trade Journal, and traded two Himalayans for three Siberian cats (named Ofelia, Naina and Kaliostro). Siberian cat breeding in the US was born. In1997 Dana Osborn imported the first colorpoints (named Ustin El Magrib, a seal lynx point male and Roksana Babyan, a seal tortie point female). Siberians were accepted in the New Breed Program by The International Cat Association (TICA), the world’s largest cat registry, in 1992. A collective effort by many Russian cat fanciers associations painstakingly revised the breed’s standard until the official standard was given final approval on December 4, 1994 at a World Cat Federation session attended by delegates from Russia and the Commonwealth of Independent States (SNG) along with felinologists from other international cat associations. 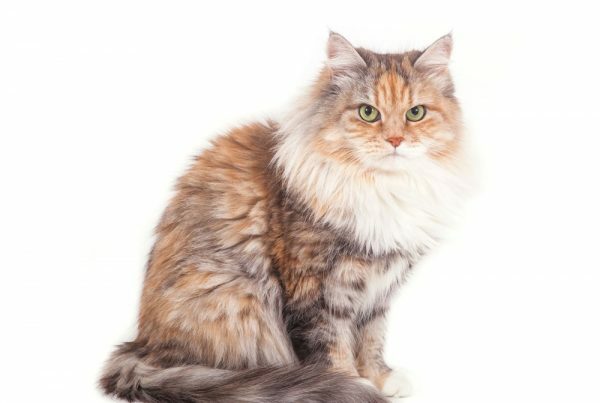 TICA elevated the Siberian cat as one of 73 cat breeds to championship status in 1996, which refers to the breed’s ability to be entered at TICA sanctioned shows in a specific class and earn awards based on set criteria. It’s believed that Siberians suffer very few genetic diseases compared to other breeds due to their relatively short breeding history. Several names for the breed other than Siberian Cat include: Moscow Semi-Longhair, Siberian Forest Cat and Neva Masquerade for the colorpoint version. Morris, Desmond (1999). Cat Breeds of the World; A Complete Illustrated Encyclopedia.